Iyobinte Pusthakam malayalam movie to be directed by Amal Neerad will feature Fahadh Faasil and Isha Shervani in lead. Lal, Jayasurya, Lena, Reenu Mathews, Padmapriya T G Ravi, Saritha Kukku, Vinayakan, Chemban Vinod, Jinu Jose and Sreejith Ravi also would give life to other prominent characters in the movie. To be produced by Amal Neerad and Fahadh Faasil, the story will focus on the socil-political issues which happened during 1910-1970 but will focus on the 40s. Amal Neerad, the young film maker who has already created his own space in the heart of movie lovers is gearing up to helm yet another big budget multi-starrer project. 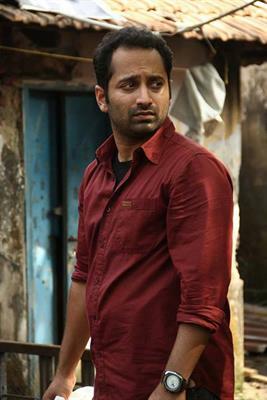 Titled 'Iyobinte Pusthakam' or 'Book of Job', the movie will feature Fahadh Faasil and Isha Shervani in lead. Lal, Jayasurya, Lena, Reenu Mathews, Padmapriya T G Ravi, Saritha Kukku, Vinayakan, Chemban Vinod, Jinu Jose and Sreejith Ravi also would give life to other prominent characters in the movie. Fahadh will be the co-producer of the movie along with Amal. As it is a big budget movie, Fahadh decided to support the project and stepped forward to produce it. The story will focus on the socil-political issues which happened during 1910-1970 but will focus on the 40s. The story and script will be penned by Gopan Chidambaram while the dialogues are set by Shyam Pushkar. After the pre production works, the movie will start rolling soon with locations set at Ootty, Munnar and Vagamon. This period love story is based on a chapter in the Old Testament. Fahadh and Isha have already been a part of Amal's anthology Anchu Sundarikal. As the movie is not just about the hero and heroine, all the characters will be getting equal importance. The social-political situations of the period will be given prime preference. As seen in his previous ventures, Amal would focus on giving a signature touch on each frame giving a visual treat to the audience. Meanwhile Isha Shervani is excited to share screen space with actor Fahadh Faasil who had kept a dream to act with him. Isha who had watched Chappa Kurishu and Amen was truly fascinated with the acting skill of the young actor. Fahadh who has already committed half a dozen movies is crowded by producers for his date. His upcoming projects include 'I by Two', 'Bangalore Days', 'God's Own Country', 'Vambathi', 'Cartoon', 'Anti Christ', 'Shivaganga Cinema Factory' and 'Money Rathnam'.